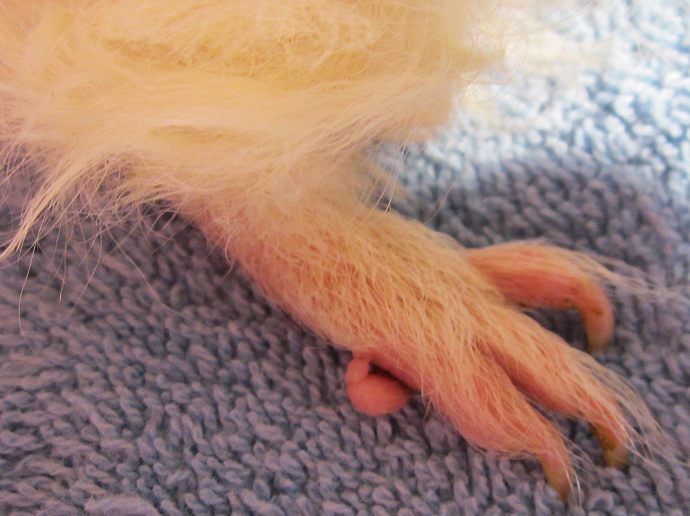 CavyHeart's recently adopted young Texel, Tribble, had a small, deformed extra toe on his right hind foot. Because it was getting caught in his hair and generally seemed to be a hazard, CavyHeart had it removed by her veterinarian. Tribble, aka Hallelujah, Hal, or Fizzgig** is a tricolor lilac, beige, and white Texel with red eyes born on October 6, 2011. 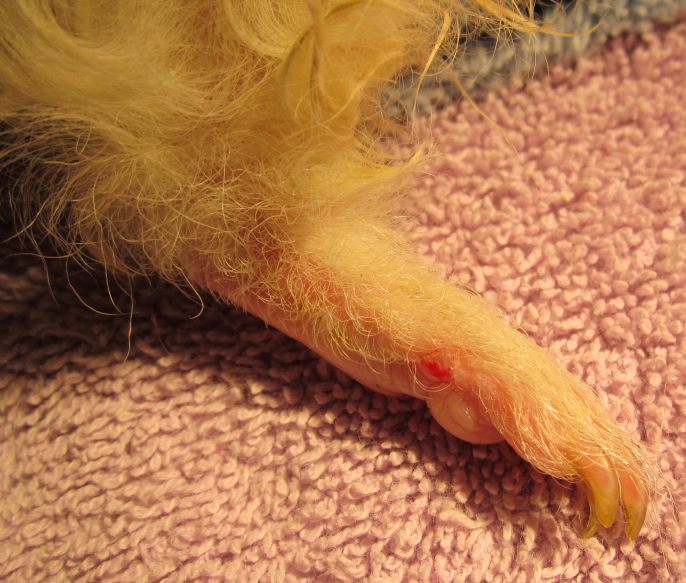 The extra toe was removed on March 15, 2012 with local anesthetic at Alder Creek Veterinary Hospital. A small amount of silver styptic and a dab skin glue were used to control bleeding and keep it covered afterwards. There were no complications or infections, and he has since healed completely.